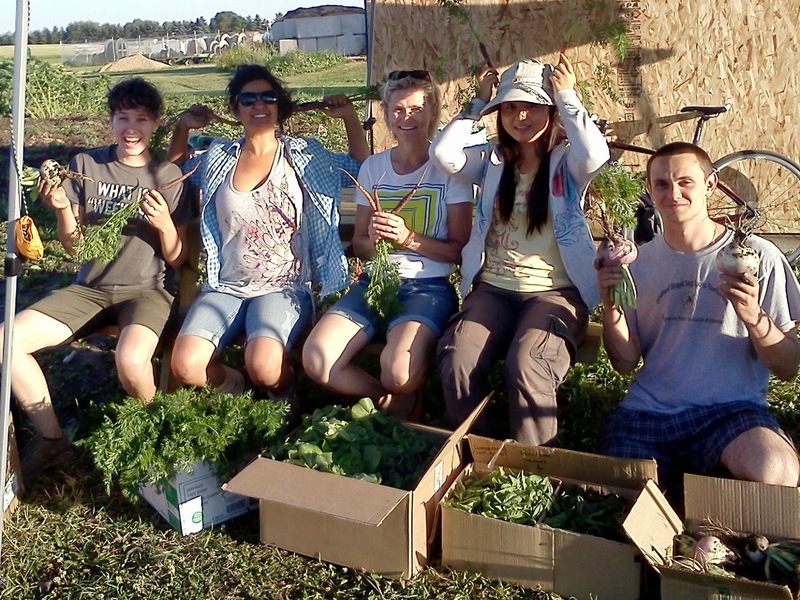 Prairie Urban Farmers have harvested over 200 lbs of produce so far for community services within Edmonton. 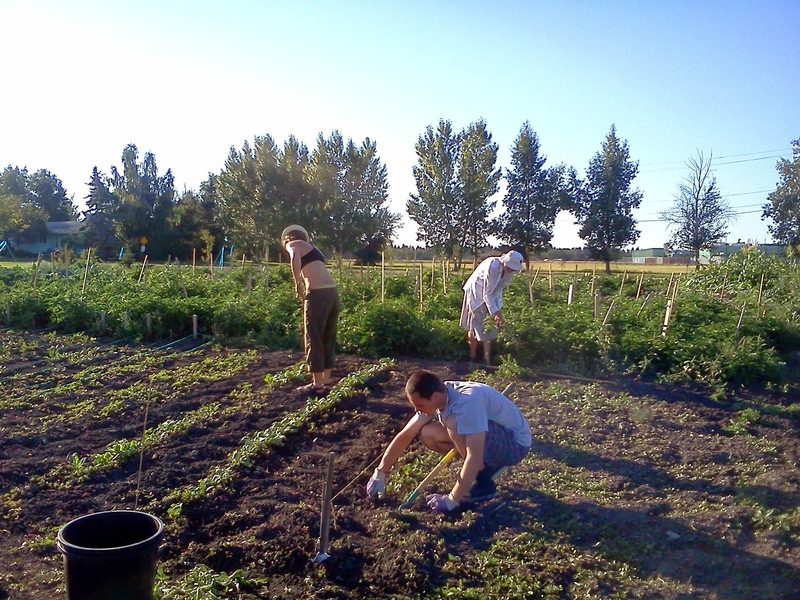 Prairie Urban Farm was started by a few faculty members at the University of Alberta, including the project's Director Dr. Debra Davidson, who thought that they, as members of the University, could be doing more to aid in the growing social problem of food insecurity. 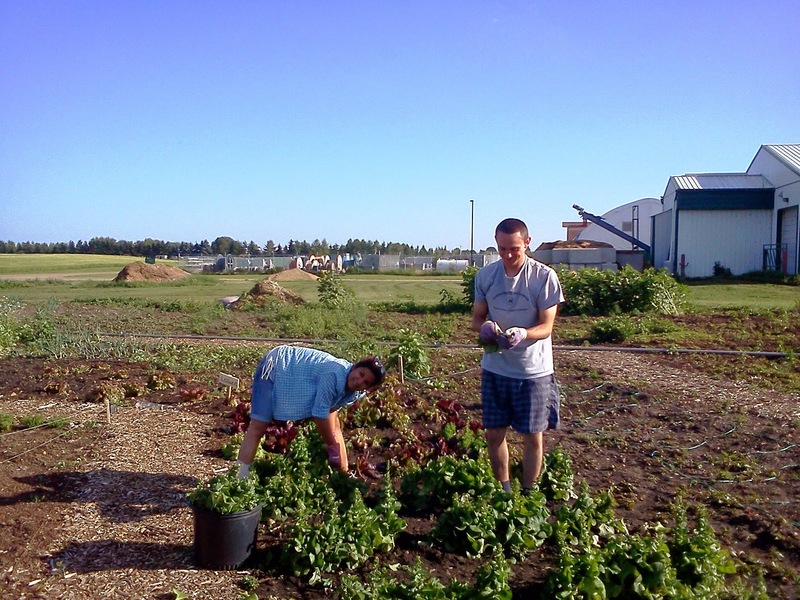 Thus, helping to make Edmonton a more food secure city has been one of the farm's goals since its formation. This article will help explain what food security is and why urban farming is important in this context. Prairie Urban Farmers weeding a newly planted beet plot at the farm - a 1.5 acre green space at the University of Alberta's South Campus. What is food security anyways? Food security is when every citizen has access to affordable and nutritious food. If you're wondering whether a city is food secure, ask yourself... does every person in this city have access to affordable and nutritious food? Unless every single citizen can afford to regularly buy nutritious food for their families, the answer is unfortunately no. The carrots are finally ready to eat! Urban Farming is growing food crops within an urban environment. Edmonton, and many other cities, have a lot of underused green space that could be used to grow many of our food crops. Think of city boulevards, front yards, small parks.. etc. Why is urban farming important to food security? Growing at least some of our food crops in the city helps create a safety net to buffer our community against sudden changes to our global economy and environment. For example, if there is flooding or a drought in California or Mexico it will affect the food prices in our Edmonton supermarkets. If there is a sudden rise in gas prices there will be a sudden rise in food prices (especially in our Edmonton winters, we're almost entirely dependent on food from warmer climates... which is transported here by a fuel-powered vehicle!). Local food production is less affected by these global disturbances. When our supermarket food prices increase it affects everyone in our city but the people that it hits the hardest are those citizens living on a fixed income or relying on community services such as the food bank. A city with a safety net is much more food secure - that is, more of it's citizens have access to affordable and nutritious food, even when there are unexpected disturbances to the global food production system that we rely on. Picking lettuce for a donation drop off in July. 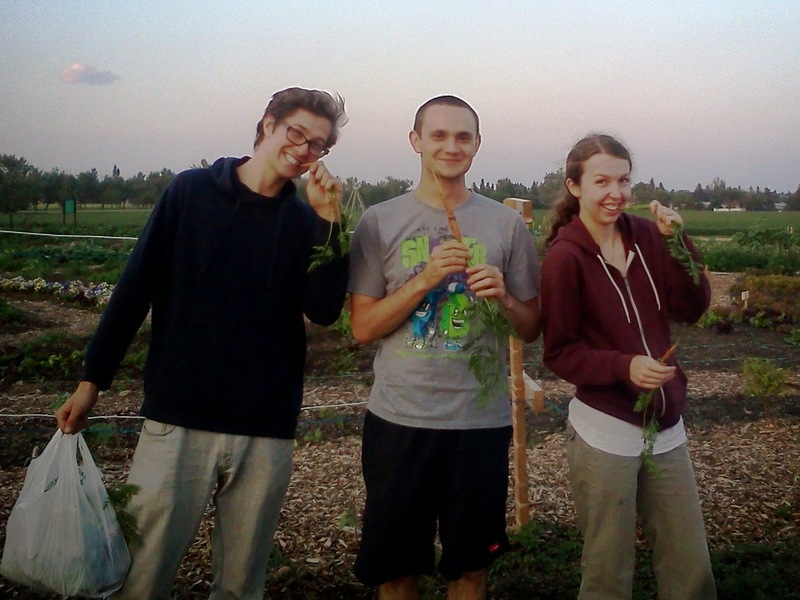 At this time, August 13th, 2014, Prairie Urban Farm has donated over 200 lbs of produce to Edmonton's community services including the Youth Emergency Shelter, the Edmonton Food Bank, the U of A Food Bank, and The Mustard Seed. Because fresh produce is delicious and nutritious (nothing beats a carrot from the garden!) and everyone deserves access to food that's good for them. Our donations have included lettuce, spinach, arugula, carrots, beets, turnips, radishes, cucumbers, and peas. We have plenty more harvest and donation nights to come before the Edmonton frost sets in - wish us luck and do some rain dances for us! can anybody tell me where i can get some ear corn?